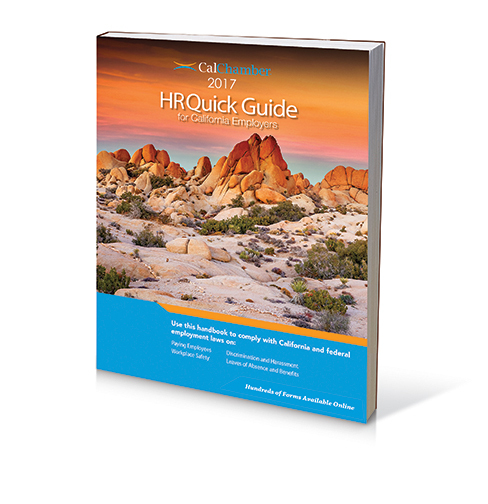 This kit reflects March/April 2019 mandatory updates: Changes were approved to the CFRA notice, (now called the Family Care and Medical Leave and Pregnancy Disability Leave notice), adding information about the New Parent Leave Act (NPLA). 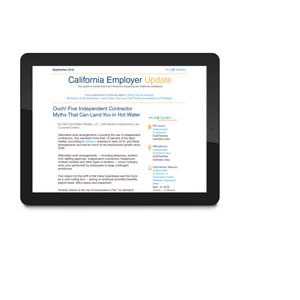 Effective April 1, 2019, this is a new posting requirement for California employers covered by the NPLA (20 to 49 employees) and an updated posting requirement for those covered by CFRA (50 or more employees). Effective March 2019, the EDD issued mandatory updates to the Paid Family Leave and State Disability Insurance pamphlets. 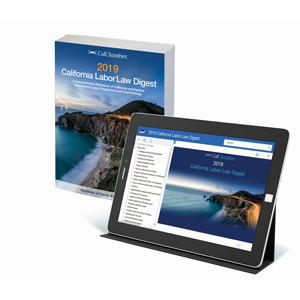 CalChamber's California Required Notices Kit also includes mandatory updates effective January 1, 2019 to the Unemployment Insurance pamphlet. 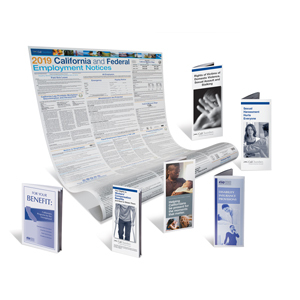 In one convenient kit you get a 28" x 46" all-in-one poster with the 18 state and federal notices every California employer must post, plus one 20-pack each of the six pamphlets employees must receive. While you save money buying the kit, you can order the poster and pamphlets separately. 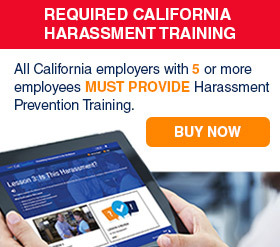 Even if you employ only one person in California, you are required to post current employment notices and distribute certain pamphlets. Be sure to display a poster in each business location where employees can easily see it and read it. 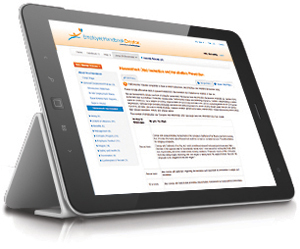 You'll need both English and Spanish kit versions if you have Spanish-speaking employees.